This romantic 14K white gold pendant features a diamond encrusted flower adorned with sprouting vines. The 16" chain is attached. 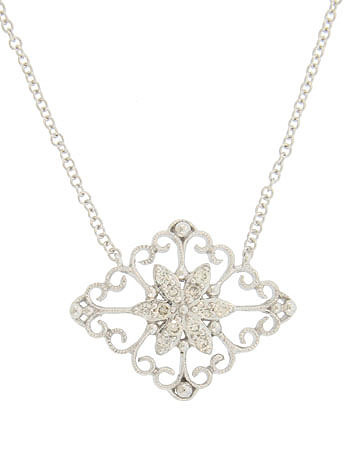 The curling filigree floral pendant measures 3/4" x 1/2".